The Technovation Challenge is the largest and longest-running global technology competition exclusively for girls to inspire the pursuit of NaN (NaNcience, NaNechnology, NaNngineering and NaNath). We are a team of young aspiring students, passionate to change the world around us with our understanding of Science, Technology, Engineering and Mathematics (STEM). We aim at identifying and developing our innovative skills with assured guidance of our mentors & coaches to become future innovators, technology players and entrepreneurs. We will always admire Technovation for finding our team worth participating! Description – This app deals with sharing notes and video tutorials among students helping ones who connot make notes by themselves and also who are not able to pay high turion fee. Description – This app helps to translate Ladakhi to English and vice versa. Members – Rigzen angmo , Diksha Verma , Lakpa diki sherpa . Description – This app provides complete information about the historical places of leh ladakh by scanning the QR codes available there and QR codes will be installed by our team. 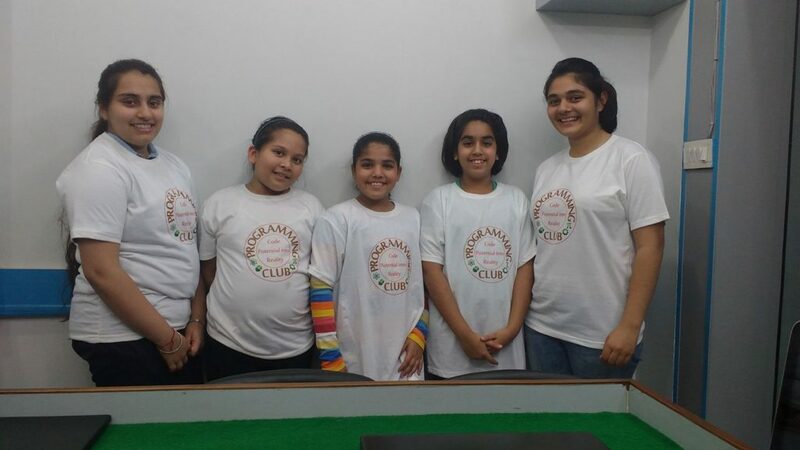 Team Name – Programming club – Sindhu shiksha – Senior Members – Stanzin dolma, Sonam angmo, Jekmath deskit .